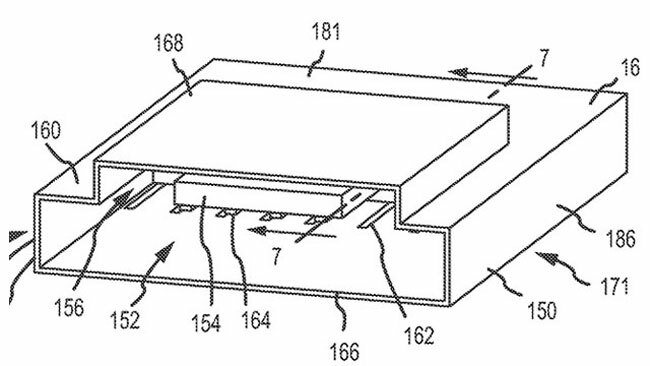 Apple has been issued a new patent for a slimline USB and SD card slot, and the diagram below shows how this combination USB and SD card port would work. In the patent filing by Apple, the company has also talked about how this could be used for other ports, with a USB port combined with a Thunderbolt port and also a HDMI port. We suspect that these new ports will end up in future versions of Apple’s MacBook Air and MacBook Pro, as the company continues to make these devices more streamline.